« July 4, 2005 – VACATION BEGINS! 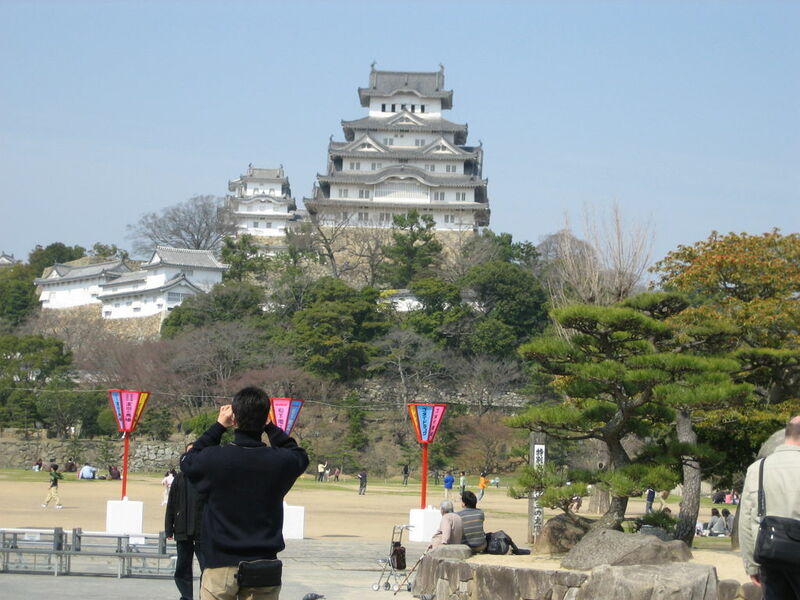 This morning I woke up early and headed west towads Himeji to see the famous castle. Himeji is about 500km west of Numazu, so I took the shinkansen (bullet train) instead of regular trains. The closest shinkansen station is in Mishima, which is convenient because I could use my regular work commuter pass to get there. At Mishima I bought an unreserved ticket to Himeji. Each shinkansen has several cars with unreserved seats. The Tokaido shinkansen has three options: Kodama, Hikari, and Nozomi. The Kodama stops at all shinkansen stations, but has the most unreserved cars. The Nozomi only stops at major stations and has the fewest unreserved cars. I struck a balance and took the Hikari. Three hours later I arrived at Himeji station. Upon exiting Himeji station, you can instantly see the famous Himeji castle. It looks close but only because the castle and grounds are HUGE. It’s actually a solid 1.7km walk (thanks Google). The castle is one of Japan’s many UNESCO world heritage sites. It was built in the late 1500s, and unlike many castles in Japan, is still the original building. Somehow the castle survived 400 years of wars, earthquakes, typhoons, people, and a modern city springing up around it. Himeji castle is probably the best thing I have seen in my almost 2 years in Japan so far. I could literally write about it for hours, describing in detail the different buildings, the steep stone base, the arrow ports, the crests built into the roof, and other awesome details. 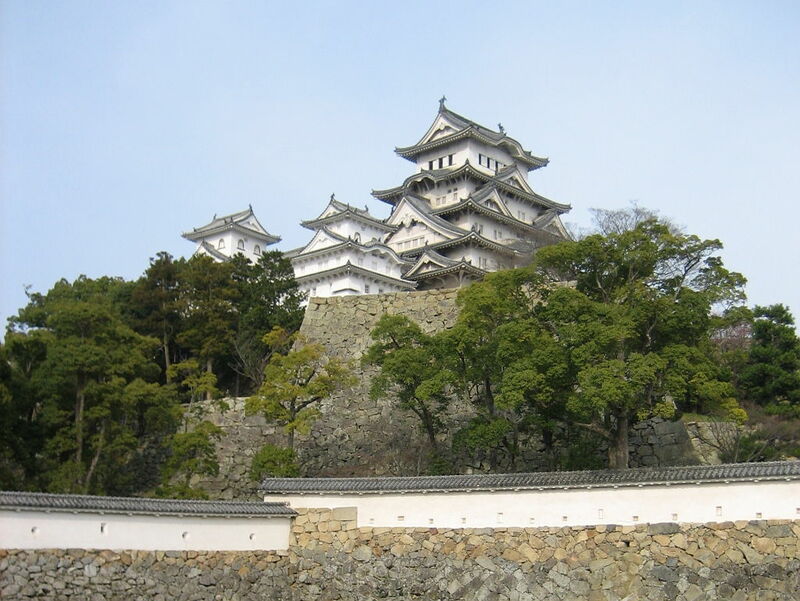 Words really don’t do Himeji castle justice – it’s something that needs to really be experienced in person. My favourite part was when I finally got to the top of the castle and looked out the window. I could see the castle grounds below and the city all around while feeling a nice cool breeze. I would have been happy to stay there until they asked me to leave. If you are lucky enough to visit Himeji castle, I have one word of advice: wear comfortable shoes. The only way to get around the sizable castle grounds is on foot. I won’t soon forget the fashionably dressed woman sitting on the ground complaining to her boyfriend about how her feet hurt. Seriously, who wears heels to a 400 year old castle? Wear comfortable shoes with good support, you’re going to need them. Not only is Himeji Castle an impressive structure, but all of the displays and information are available in both Japanese and English. Most famous tourist spots in Japan have good information available, but Himeji truly raises the bar. 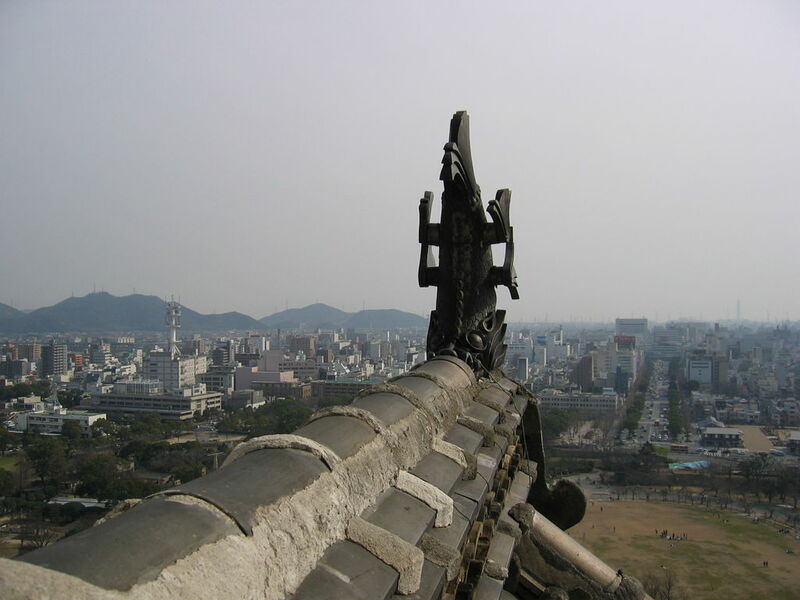 Himeji is truly a must see place in Japan. This entry was posted on July 2, 2015, 8:00 pm and is filed under Western Japan. You can follow any responses to this entry through RSS 2.0. You can leave a response, or trackback from your own site.